We all love how much Korea has grown as much as it has lets learn about the culture together. Sung Hae Sung (Yeo Jin Goo) is a high school student who has decided to not go to college, and take care of his family. Little did he know on his 19th birthday he would face his worse fear… he got into a car accident and passes out! He wakes up feeling like everything is normal soon to realize everyone thinks hes been dead for 12 years! Will he be able to recover his old relationships or will he be doomed forever? Lets find out shall we? Bong Pil (Kim Jae Joong) has been in love with his childhood friend. In fact that is the only person he has ever loved! Sadly Kang Soo Jin (Uee) is getting married in less than a week. Bong Pil finds a manhole that lets him travel back and forth in time! He can’t handle losing his only chance! Will he be able to show Kang Soo Jin how he feels before it is to late? 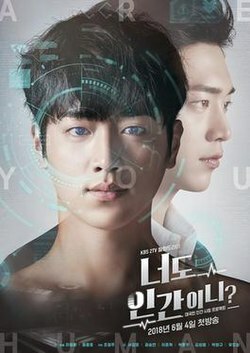 Nam Shin (Seo Kang-joon) is a son from a family who runs a large company. After an unexpected accident, he falls into a coma. His mother Laura Oh (Kim Sung-ryung) is an authority on brain science and artificial intelligence. She creates an android named Nam Shin III which identically looks like her son. The android pretends to be Nam Shin, and has a bodyguard, Kang So-bong (Gong Seung-yeon). A rich young men and women in their twenties who discover their true feelings while playing the dangerous game of love. 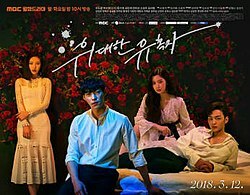 In an act of revenge, Kwon Shi-hyun makes a bet with his friends to seduce Eun Tae-hee, who believes people that are swayed by love are pathetic. After Eun Tae-hee meets Kwon Shi-hyun, her view on love starts to change. As Si-hyun’s secret deepens, he starts to fall in love with Tae-hee. Kim Min-kyu (Yoo Seung-ho) lives an isolated life due to a severe allergy to other people. He develops extreme rashes that rapidly spread throughout his body once he makes any form of skin contact. Jo Ji-ah (Chae Soo-bin) is a woman who is trying to make it in life by creating her own businesses. However, after an encounter with Min-kyu, she ends up pretending to be a robot in place of the supposed Aji 3 robot. The Aji 3 robot was developed by Ji-ah’s ex-boyfriend, professor Hong Baek-kyun (Um Ki-joon) and his team. The robot was meant to be tested by genius Min-kyu, however an accident caused the robot’s battery to malfunction. As Baek-kyun modeled the robot after Ji-ah, the team ends up recruiting her to take the place of Aji 3. A drama about two princes who enter into a rivalry due to their love for the same woman. It is loosely based on the true stories of Grand Prince Anpyeong and King Sejo. 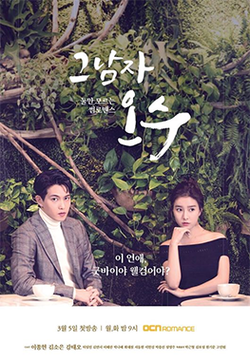 My Mister tells the story of three middle-aged brothers, who are enduring the weight of their lives, and a strong, cold woman, who has been living a hard life of her own, as they come together in healing each other’s past scars. The story of lives of people who work at the hospital like physical therapists, rehabilitation therapists, radiographers, nurses, medical trainees and so on. If you have any favorites you would like us to add please leave us a comment!